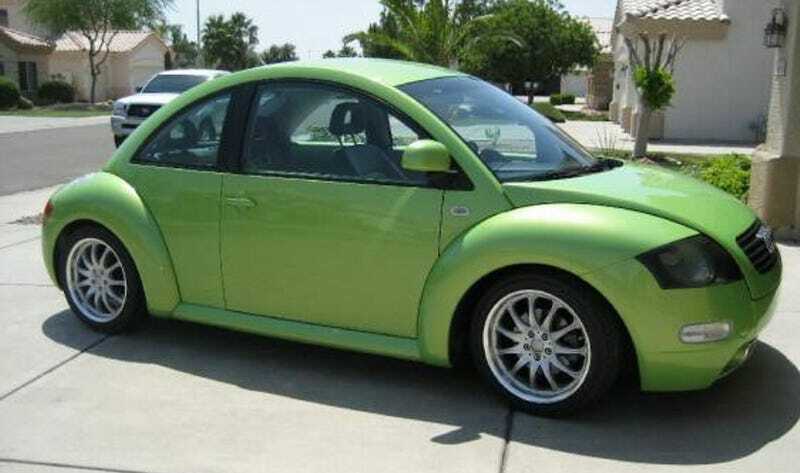 For $7,200, Could This Custom 1999 VW New Beetle Be TT-ly Awesome? Concept cars are often visions of a what-could-be future. Today’s Nice Price or Crack Pipe custom VW BeTTle is a concept from the past that you actually can have right now, that is, if its price is worth your time. What is, in your mind, the most American of cars? Is it the Corvette? The Model T? Maybe it’s not a car at all. Maybe it’s the Ford F-series pickup that most exemplifies our democratic union. I think we can all agree however that history’s most American named car was the American Motors Eagle, after all it was built by American Motors and its name flipped our national bird. You just don’t get any more flag-waving than that, and that’s why Monday’s 1983 AMC Eagle wagon seemed the most suitable segue into Independence Day this year. Most of you seemed to concur, and fully 65-percent of you also agreed with the seller’s $4,200 price, giving that patriot a Nice Price win. Just in case you were wondering, I like to order a Double-Double Animal Style, with fries well done, and then get out of the way. Imagine if you had quandaries over just which old VAG A4-platform boutique car you wanted to own—New Beetle or Audi TT. Just how might you solve this vexing dilemma? Well, if you’re Canadian then you just roll them together and be done with it. That’s just what a Canuck named Greg Henderson did back in the day, creating the New BeeTTle kit to TT-ize Volkswagen’s reborn People’s Car. The kits apparently crossed the line as far as trademark infringement was concerned in the eyes of Volkswagen, and the German company sued Henderson’s Canadian bacon. There’s not much info out there as to how many of these BeeTTle kits actually were created—if any—but regardless, the seller of this one claims this one to be the first. The changes are to the front and rear clips, hood and hatch which... well just look at the pictures. It has a Auto Union’d grille up front and a humpty in the back. Inside, there’s heavily stitched two-tone leather seats, emulating the baseball glove style that debuted on the early versions of Audi’s retro sportster. Overall it looks to be in pretty nice shape for its age and claimed 110,000 miles of use. The Cyber Green Metallic paint appears to still hold a shine, while the interior seems to show no major signs of wear nor tear. Plus, flora! Mechanically, there’s good news and bad news. The good news is that this is a three-pedal Beetle, with a five-speed for all your rowing pleasure. The bad news is that connected to that is VW’s naturally aspirated 2.0 four, a wheezer with just 114-bhp. Yawn. The ad notes new brakes and fluids, as well as a promise of regular maintenance having been maintained, and smokers shunned. The A/C is in working order and there’s a clean title to go along with it so insurance shouldn’t be a hassle—that is, if only you can decide what name to insure it under. If you were to go that far, you’d have to come up with $7,200, since that’s this one-off’s asking. You’ll now need to decide whether that seems a fair price for a rare car. What do you think, does $7,200 seem like a deal for this custom TT-ized Beetle? Or, does that price make indecision the better part of valor? Denver, CO Craigslist (although the car is in Tucson AZ), or go here if the ad disappears. H/T to Hampton for the hookup! For $4,500, Could This 1983 AMC Eagle Signal Your Independence From The Mundane?